With Christmas right around the corner it got me inspired to start planning my handmade gifts. I love sewing presents for family and friends, but it can be a lot when you have a big list. I like to think up original projects that are simple and budget friendly. If I'm traveling I like to make something for everyone there even if it's something small. If I'm staying home I'll usually pick a couple family members to make a bigger project for. I have to allocate my time being a mother of 3 boys, running a business, and enjoying the Holidays so it's important these are fun for me. 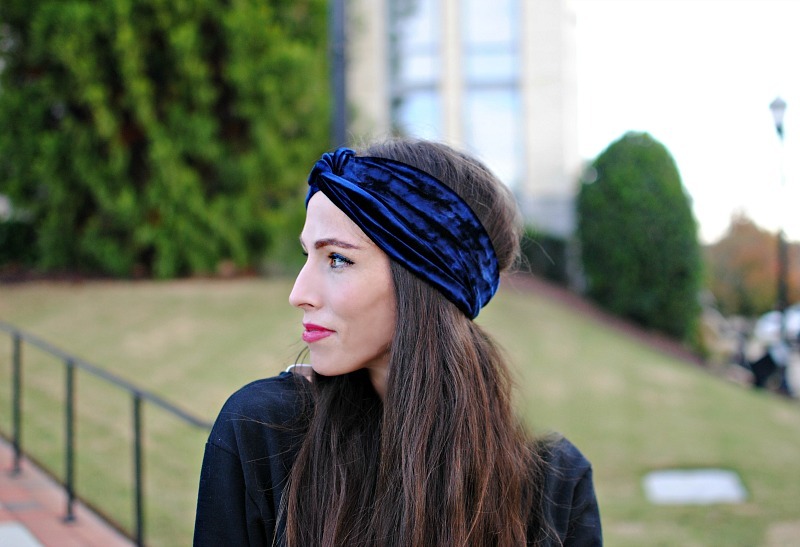 For my first project I made this twisted velvet turban (headband). 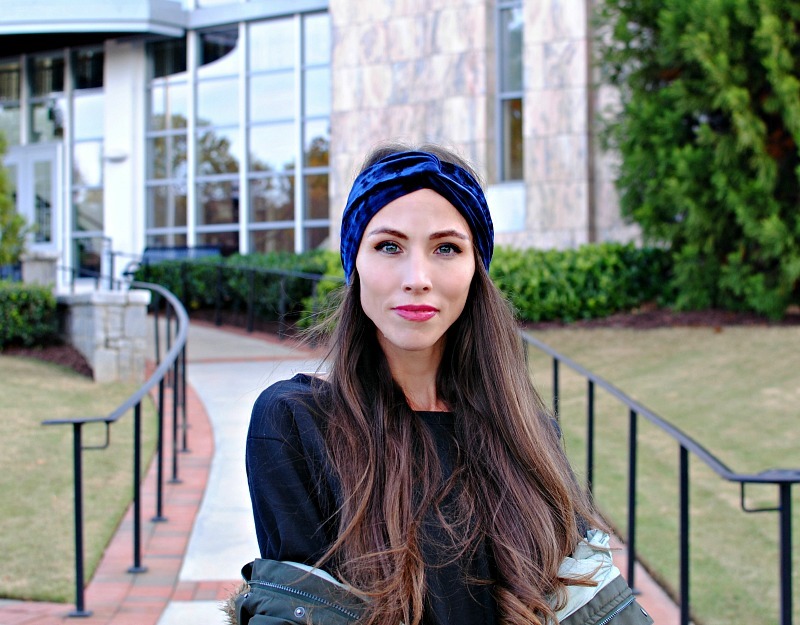 Not only is it cute and versatile it keeps the ears warm too! The supply list is short, with only 6 steps that take anywhere from 10-30 minutes. 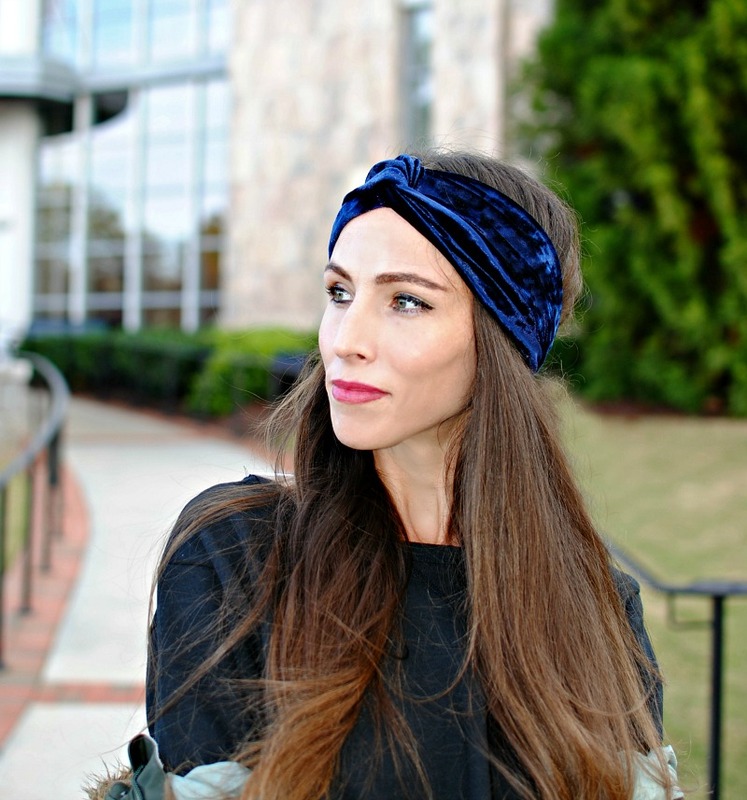 Make it in all types of colors and fabrics too but I love it in spandex velvet from Stylish Fabric. This blue is one of my favorite and they have many different color options to choose from. Get the details below and make your own. 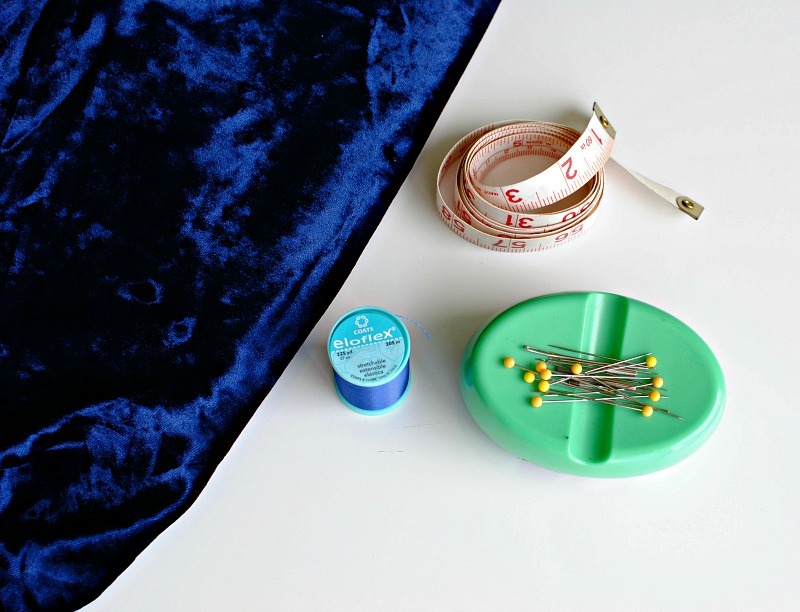 Cut 2 strips of stretch velvet that measure 4" x circumference of your head plus 2". Loop strips around each other and then pull edges to the side. Connect all the edges together and pin so right sides are facing. Sew 1/2" seam allowance going through all layers. If you prefer to hide the seam you can wrap fabric around the seam or add some trim down the seam allowance (stitch or glue). This is really beautiful. Thanks for the idea. 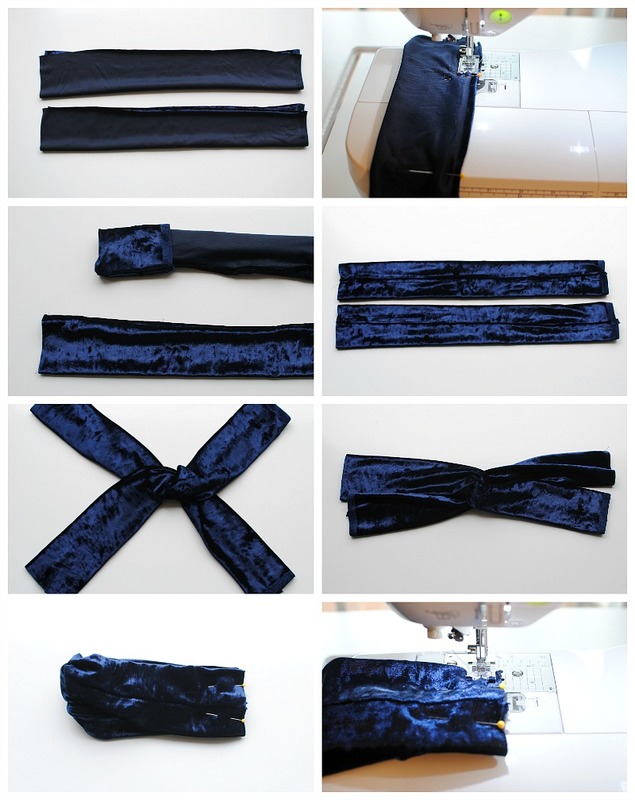 This head band is very beautiful and very easy to make this cool head band. This will be good for my long hair. Thank you for this idea. Learn how to draw mandala here. Hi. That's the cutest bands I have ever seen. I was actually searching for 3 star vs 5 star ac. Guess, I will have to look somewhere else.